We pride ourselves on having a safe and welcoming community, where all people are valued for the person they are and the contribution they make. With our Anglican ethos underpinning all of our behaviours, we aim to educate our students to be compassionate, caring and positive contributors to our community. Central to our ability to do this is a Clan structure, with each student at TSAC belonging to one of our four Clans, Keith, McDuff, Robertson and Sinclair. Each Clan fosters an inclusive family mentality where each person is valued and cared for. Each Clan is overseen by a Head of Clan, who comes to know and understand each student in their care as they progress through the College. In addition, from Year 8 until Year 12, students are placed in vertical form groups and spend 5 years with the same form tutor who becomes the first port of call for parents. The combination of form teacher and Head of Clan allows for strong links between home and school, and ensures that each child is well known, and is exceptionally well cared and catered for. Whilst Year 7 students spend more time with their core teacher in form groups as part of their transition to the Secondary Campus, each student remains a part of the Clan under the guidance and care of their Head of Clan. Engage students to live meaningful lives to find purpose and make a difference to our communities at large. Adolescence is a time of considerable change both physically and emotionally. Through this transitional phase, students are supported through the role of the Head of Secondary, who works closely with the Heads of Clan and form teachers to ensure that each child is well cared for. 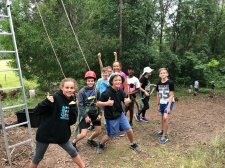 The Middle School phase concludes with a full year course in Year 9 called ‘The Rite Journey’, a College program designed for Year 9 students which places strong emphasis on helping young people as they journey from adolescence to adulthood. The program encourages students to better understand who they are, what they value and to develop their emotional intelligence and resilience. Students are also encouraged to engage in issues affecting the local community and wider world. The College also offers a variety of extra-curricular activities and a range of specialised programs to Middle School students to allow them to challenge themselves and develop a sense of belonging. Majella Dennis College Psychologist The College Psychologist, Majella Dennis, works with students to help them flourish academically, socially, behaviourally, and emotionally. The psychologist collaborates with educators, parents and other professionals to create a safe, healthy and supportive learning environment that strengthen connections between home, school, and the community for all students. Psychologists in schools apply their psychological and educational expertise to support students to achieve academic success, psychological health, and social and emotional wellbeing. The primary purpose of the psychologist’s work is to assist schools to address the barriers to learning for children and young people and to improve their educational achievement. Two significant barriers to educational achievement to educational achievement are mental health issues and learning difficulties. As such, the College Psychologist at TSAC is part of the Student Care and Learning Enhancement teams. In recognition of the importance of thriving community in the healthy development of staff and students, the College psychologist is also involved in a range of activities throughout the College. The College Psychologist is located on the Secondary Campus and is available by referral by either the Head of Primary or Head of Secondary to see students and staff. All information discussed with the psychologist is confidential, except where a risk of harm to a person is identified. Information pertaining to the advancement of a student’s education may be shared with Student Care or Learning Enhancement teams with permission from students or parents. Fore more information about the work of psychologists in schools, please see the Australian Psychological Society’s Framework for Effective Delivery of School Psychology Services. Our core business is providing students with the pathways and opportunities they need to succeed in their academic studies. As such, our curriculum offerings are broad, relevant and engaging, and our support and extension programs are designed to provide every student with every opportunity to succeed. The Middle School aims to provide all students with a supportive and encouraging environment, conducive to learning and to personal growth and development. The College offers modern learning technologies and enrichment opportunities to promote a truly holistic approach to student development. We believe that the important learning experiences that a school provides happen in and outside of the classroom, and our vibrant and varied leadership opportunities, student activities and co-curricular programs are vital in allowing us to achieve our goals of educating the mind, body and spirit of our students.